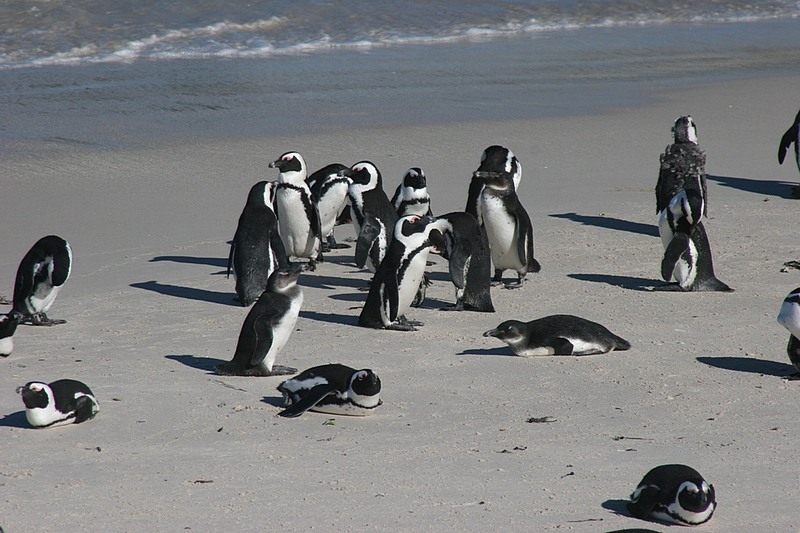 African penguins, otherwise known as Cape, Jackass or Blackfooted Penguins, are temperate climate penguins which inhabit the coastal regions of South Africa. 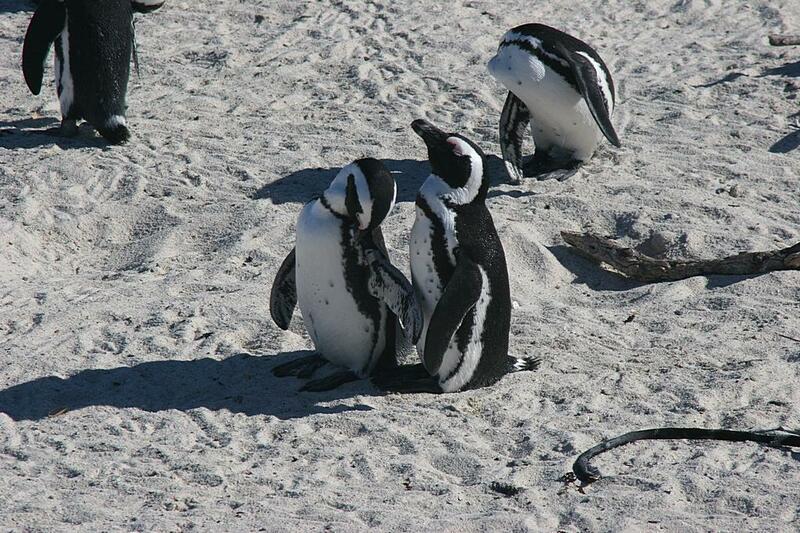 They are closely related to Magellanic, Humboldt and Galapagos Penguins. 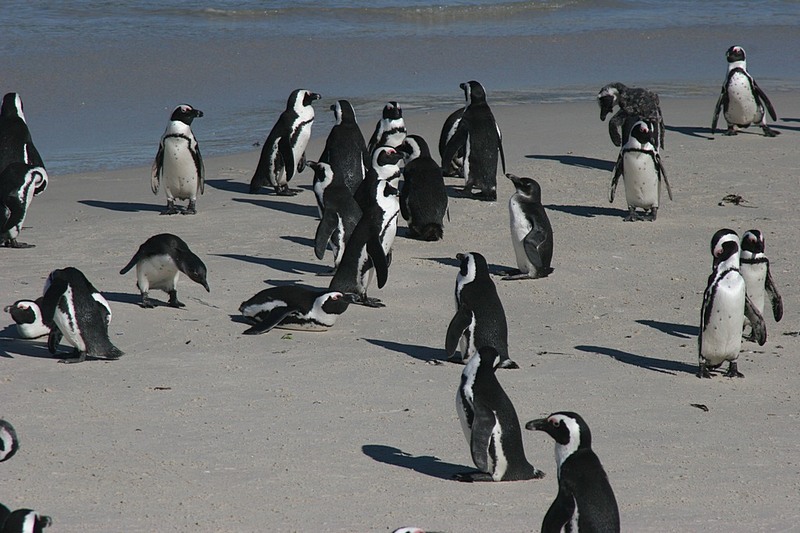 These species are not Antarctic birds and are not to be found in Antarctica or sub-Antarctic regions or indeed anywhere other than the coastal regions and islands of South Africa. 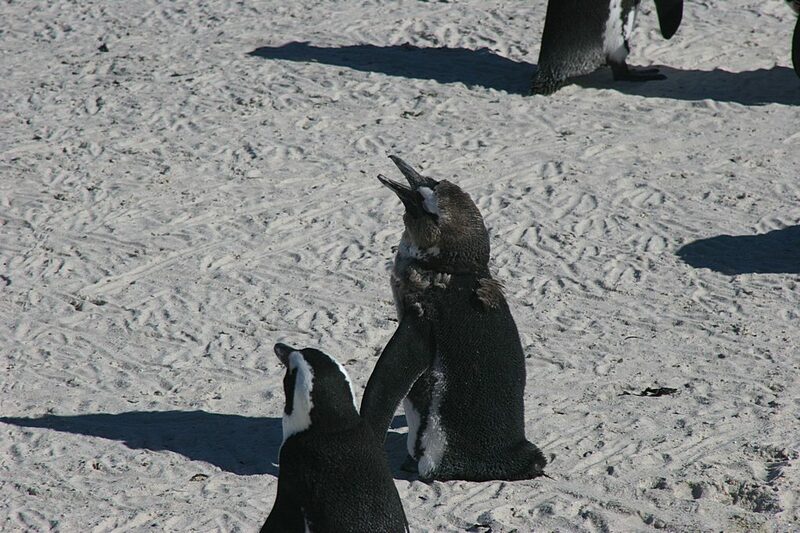 They are known colloquially as 'Jackass Penguins' because of the donkey like braying sound they make especially during the mating season. 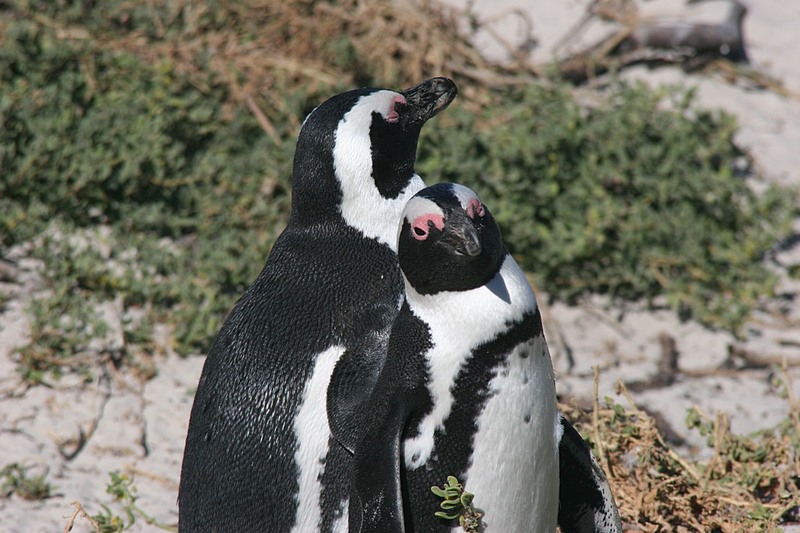 These Penguins belong to the Spheniscus Genus, which means 'wedge-shaped' and refers to the distinctive banded coloration. 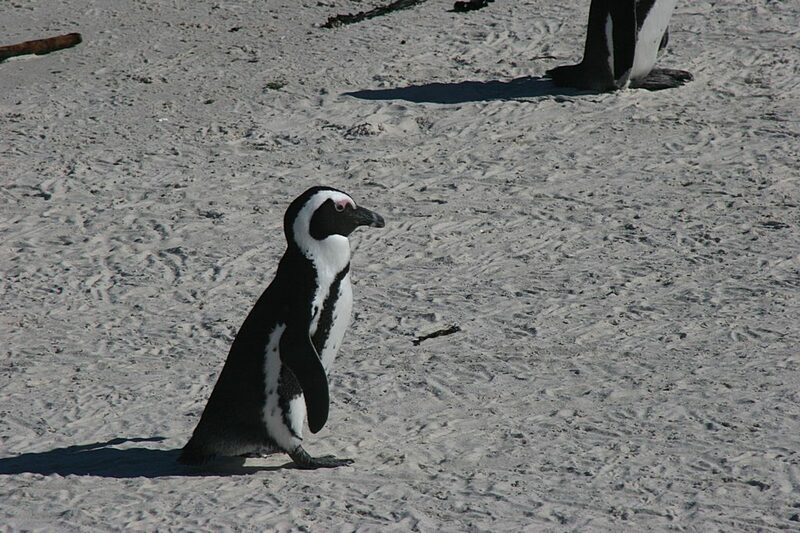 They have a prominent black stripe in a horseshoe pattern across their front and black spots on their chests. The pattern of these spots is claimed to be unique for each bird, similar to human fingerprints. 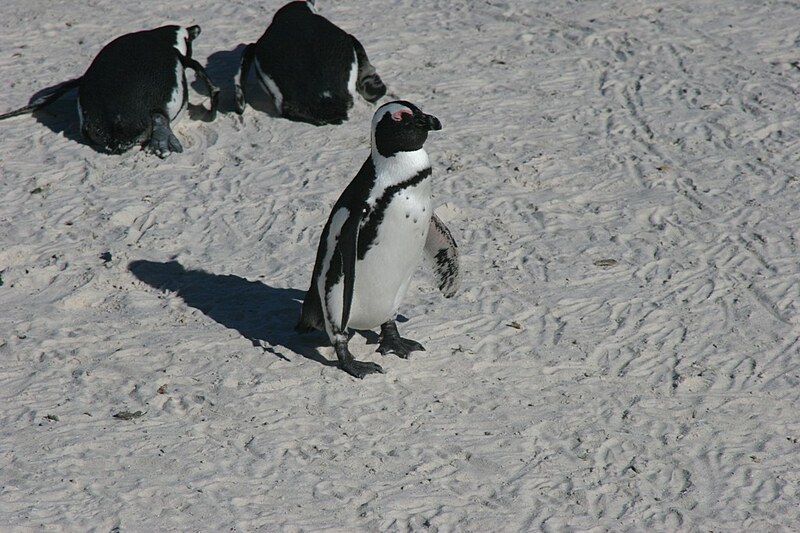 They also have pink patches around their eyes. 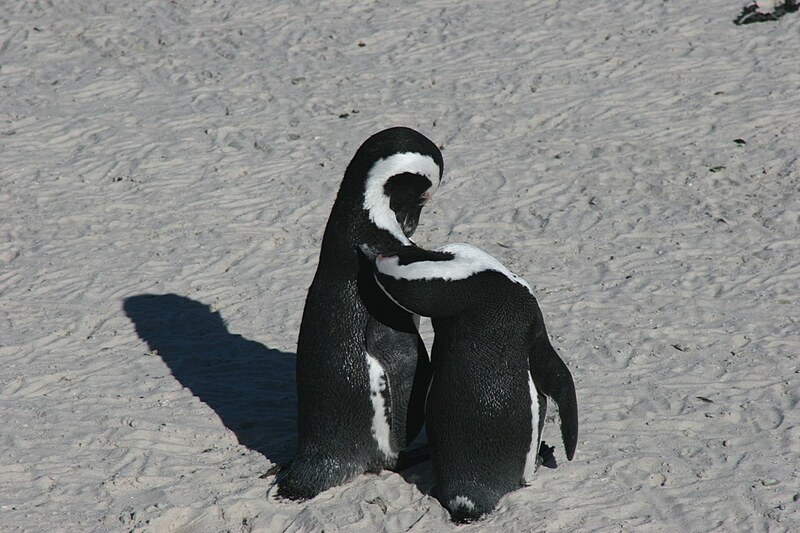 This is caused by a special gland which keeps them cool in hot weather. 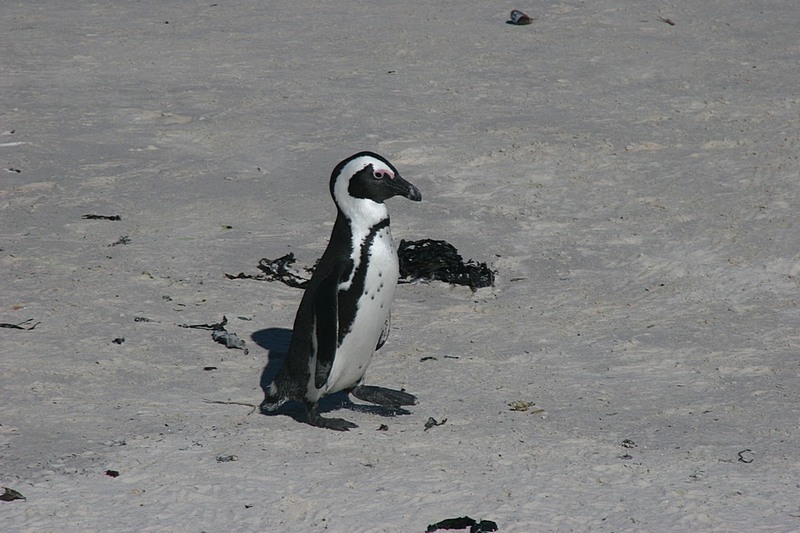 They feed on small fish such as sardines and anchovies or squid and they nest in burrows in the sand or turf near the shores. 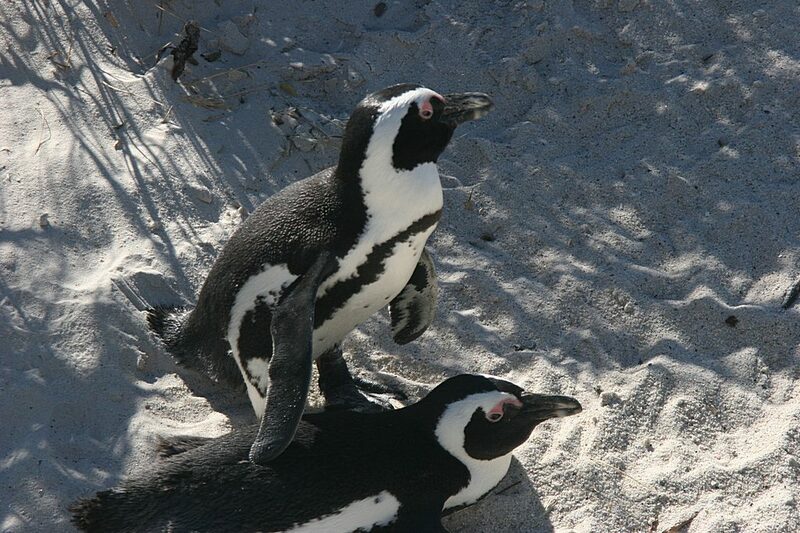 Their breeding season starts in February and chicks generally hatch in March or April thus much later than Magelannic Penguins. 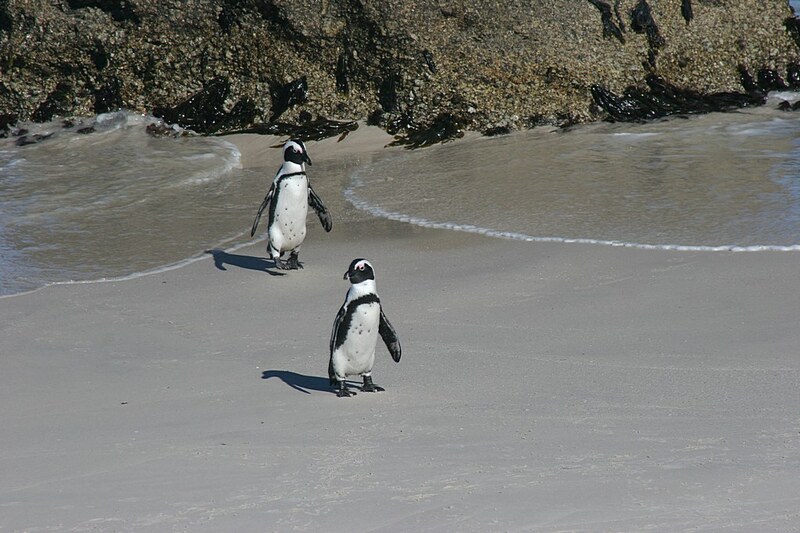 The African penguin is a threatened species. In 1910 there were an estimated 1.5 million but by the end of the 20th century this has reduced to less than 180,000. 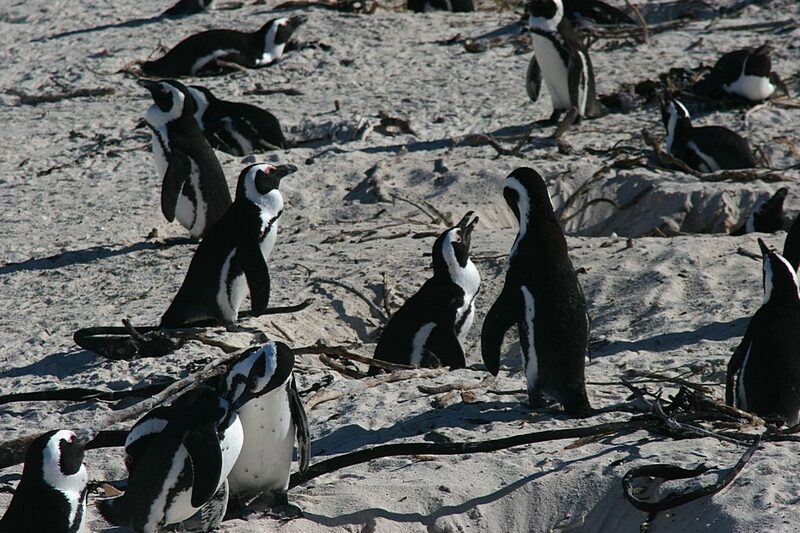 The efforts of conservationists were dealt a severe blow in June 2000 when a maritime tanker disaster oil slick affected 20,000 birds and threatened many others. 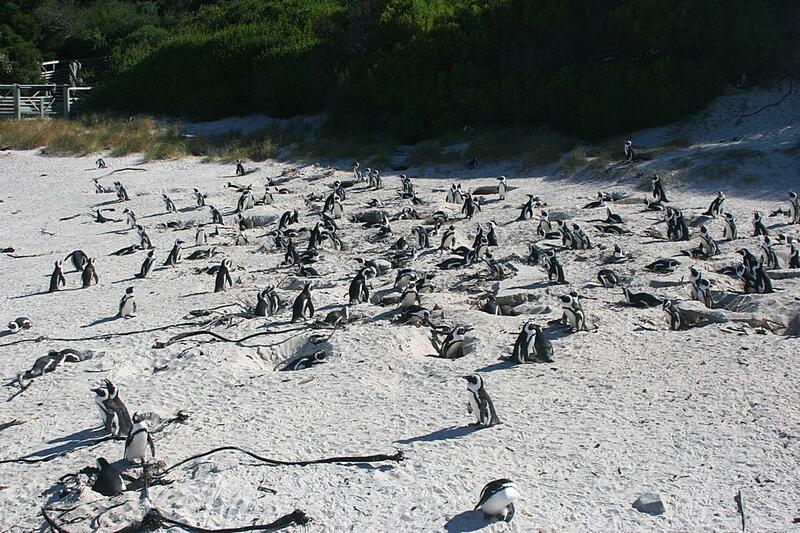 A huge international operation was mounted which saved more than 90% of the damaged birds. This is claimed to be the largest animal rescue operation ever mounted. 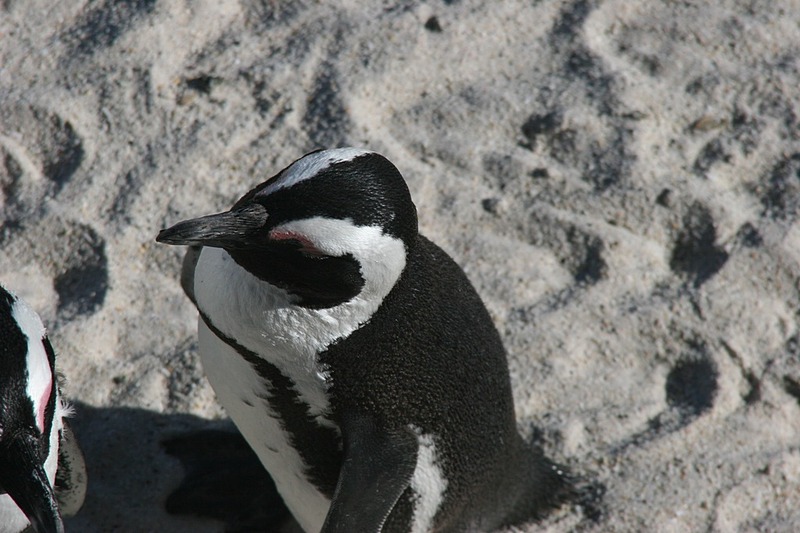 Perhaps the smallest ever animal rescue operation was in 2007 when an African Penguin named Pierre at the California Academy of Science was given a wetsuit because his feathers would not grow properly. He was given treatment for his condition and now is back to normal. 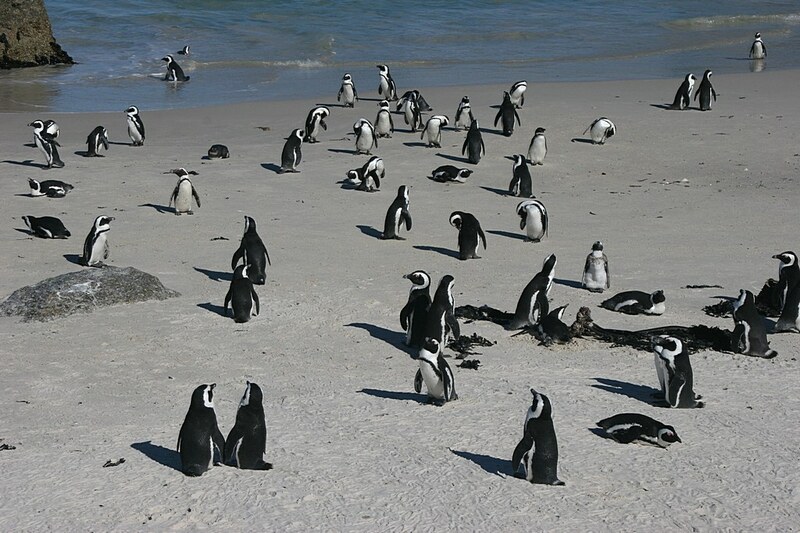 There are currently estimated to be about 70,000 breeding pairs mostly in colonies on islands off the Southern Cape. Many mainland colonies have been largely destroyed by big game (especially leopards). 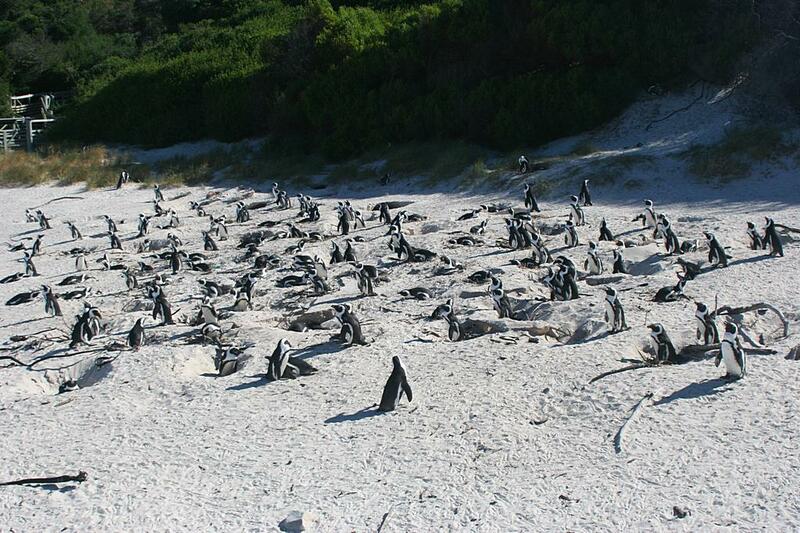 These pictures show the well known rookery of African Penguins at Boulders Beach, near Cape Town, where there are about 6000 birds. 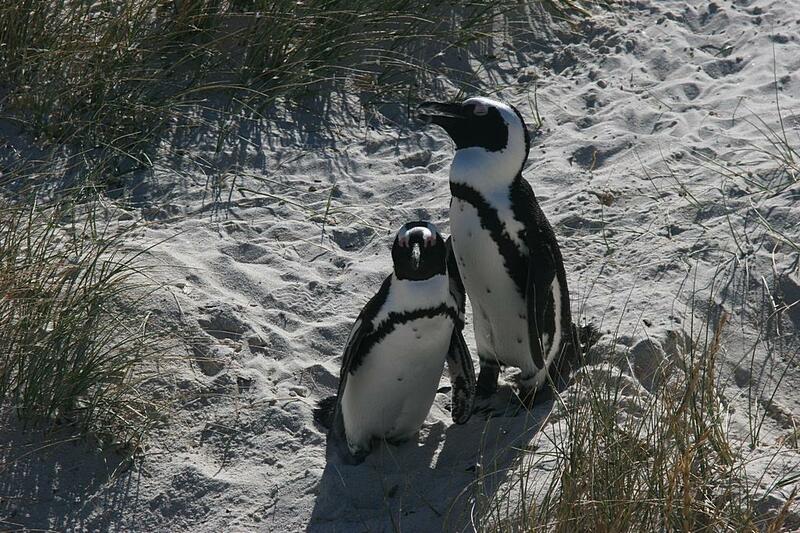 This colony was started in 1980 and has grown to this size by careful protection. 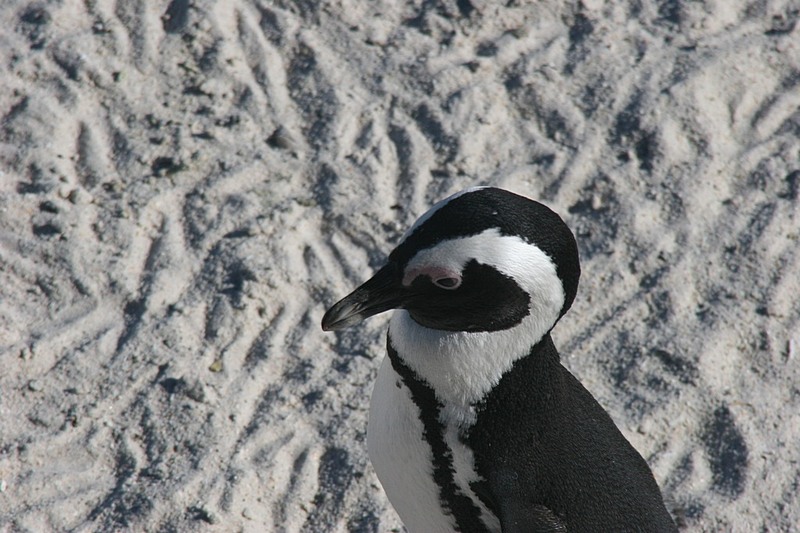 The pictures were taken in December 2008 when the adult penguins had completed the annual moulting process but before they had begun to mate. 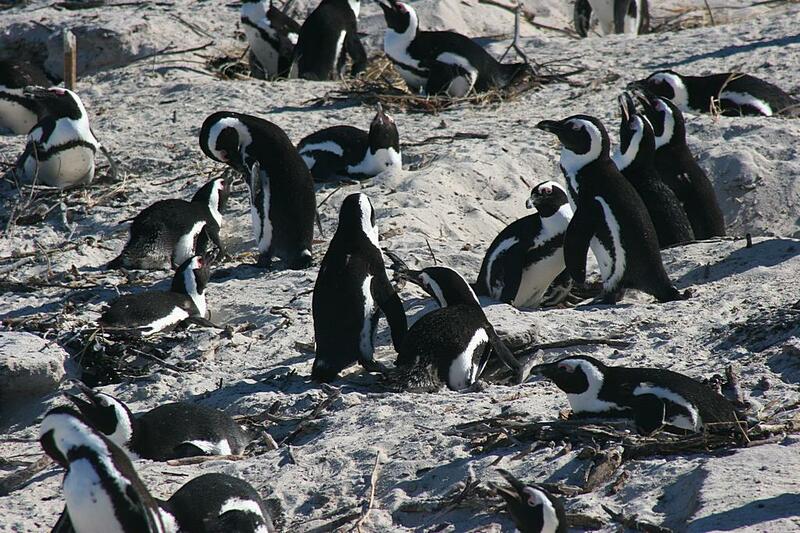 The penguins in this rookery are very tame and have started to wander into the houses of local residents.